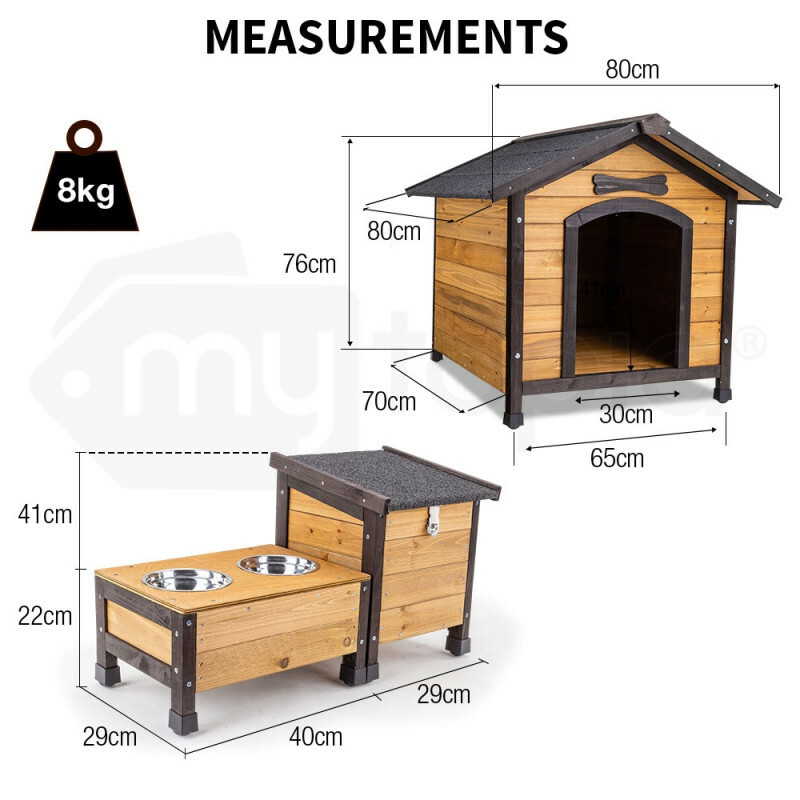 We know your dog deserves the best of the best, so impress your loved one with the exceptional unsurpassed quality of the NeataPet Dog Kennel with Stainless Steel Bowls and Storage Box. 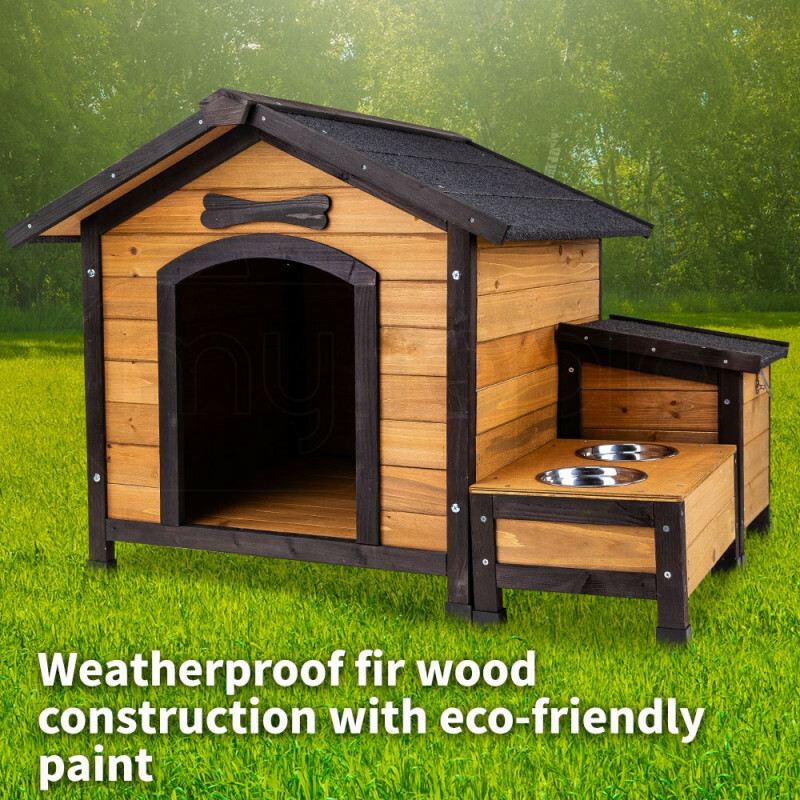 Built with durability in mind, the solid fir wood construction offers supreme protection against rain and shine when used outdoors. Designed to look good even when placed indoors, the wood is specially treated to resist pests and termites. 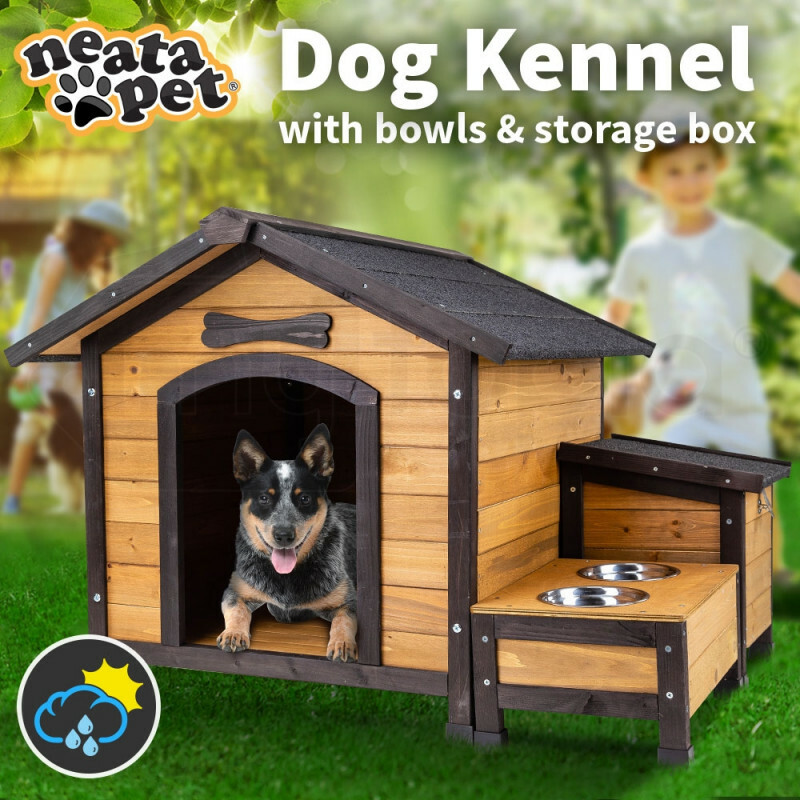 NeataPet has considered everything and proudly promote the use of eco-friendly and non-toxic paint. 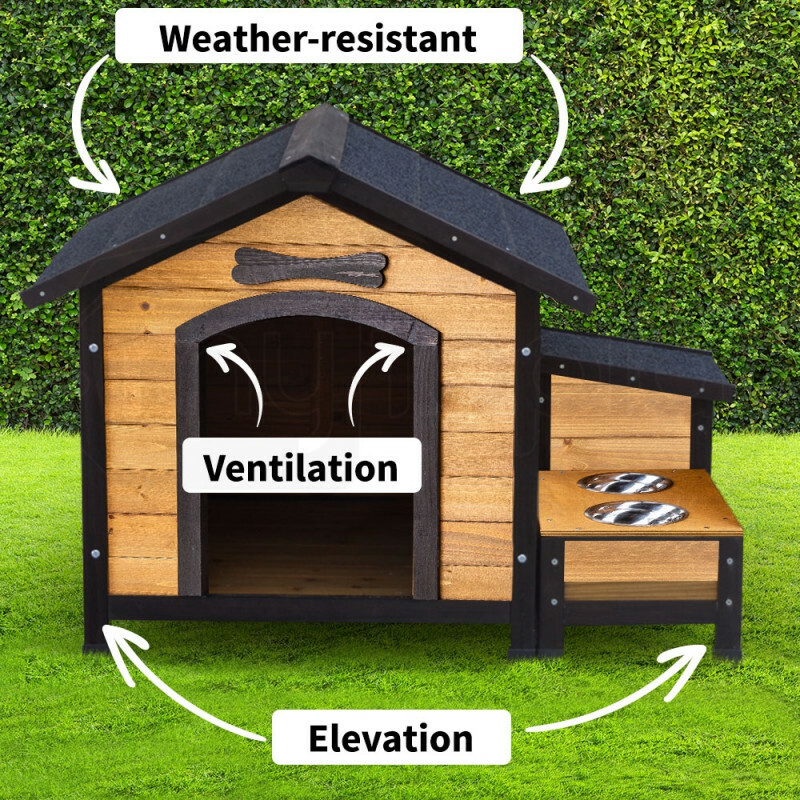 The NeataPet asphalt roof insulates the dog kennel against extreme weather, keeping your dog warm and dry during the colder months, and cool during the heat of the summer. 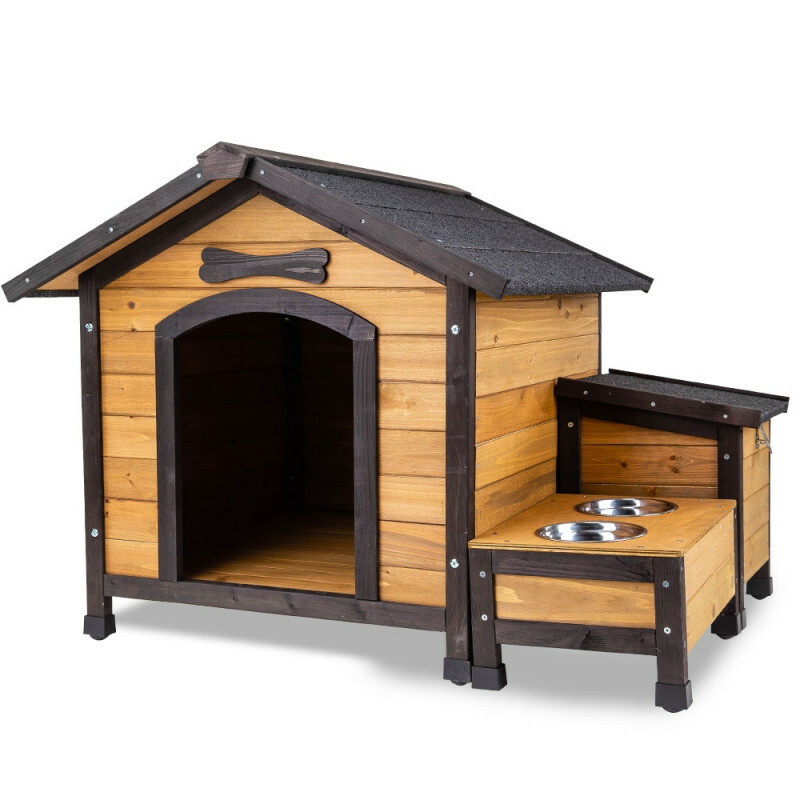 The raised floor allows air to circulate underneath the kennel, keeping the floor dry, cozy and moisture-free. 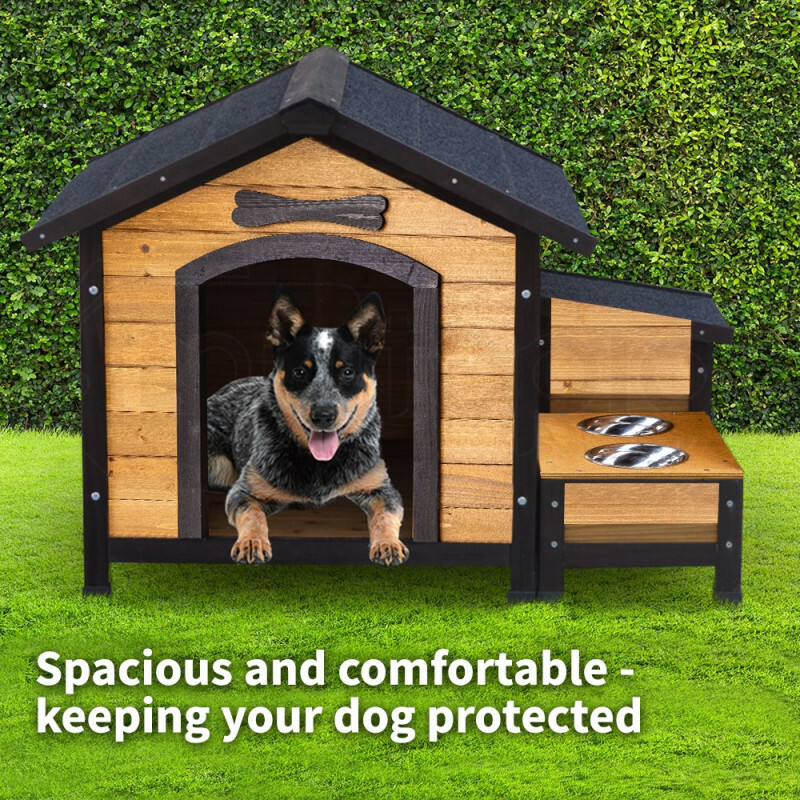 The spacious interior can comfortably give shelter to dogs weighing up to 25kg and can easily accommodate your dog’s favourite blanket or pillow. 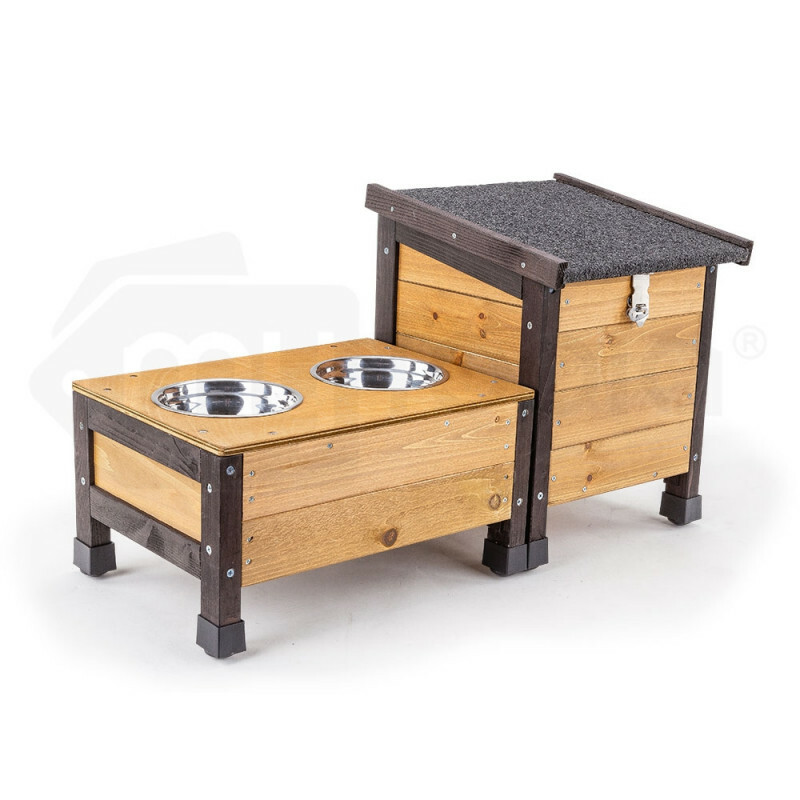 The elevated wooden stand not only keeps the two stainless steel bowls from spilling their contents, it also helps an aging pet from over-extending their neck muscles, providing them with a more comfortable bowl height for eating and drinking. 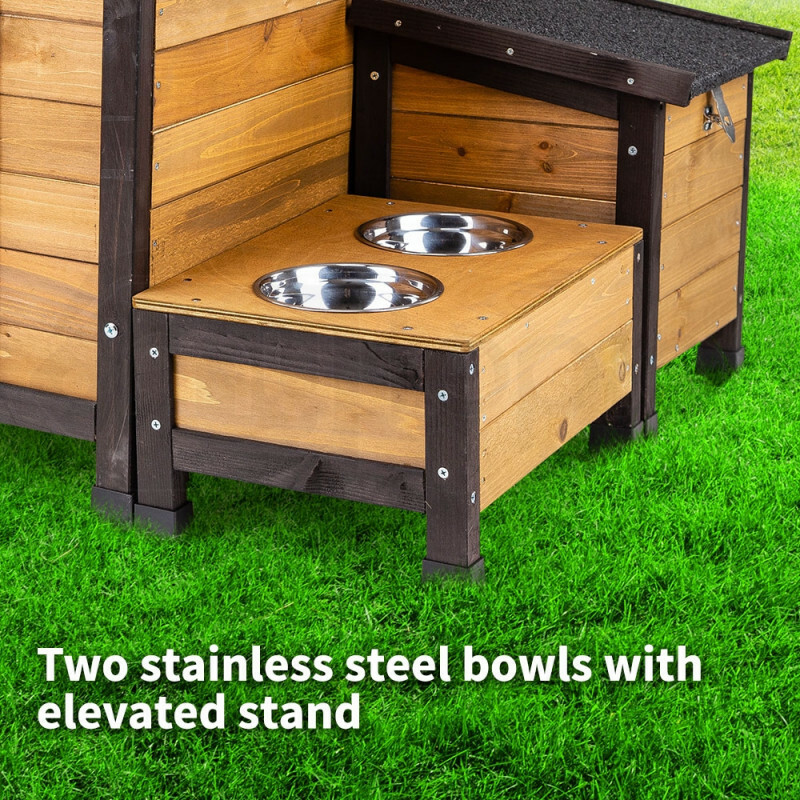 Use one bowl for your dog’s food, and one as a water bowl, and take comfort knowing that stainless steel is the best choice for pets with allergies. 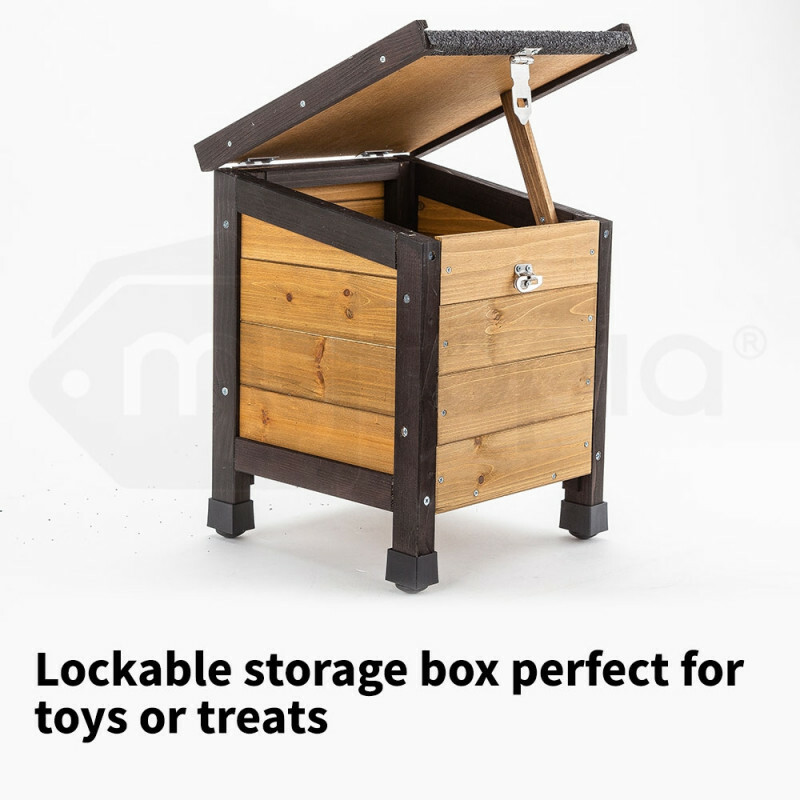 Keep your pet’s food intact in the handy and lockable storage box, or use it to store pet toys and accessories in one place. 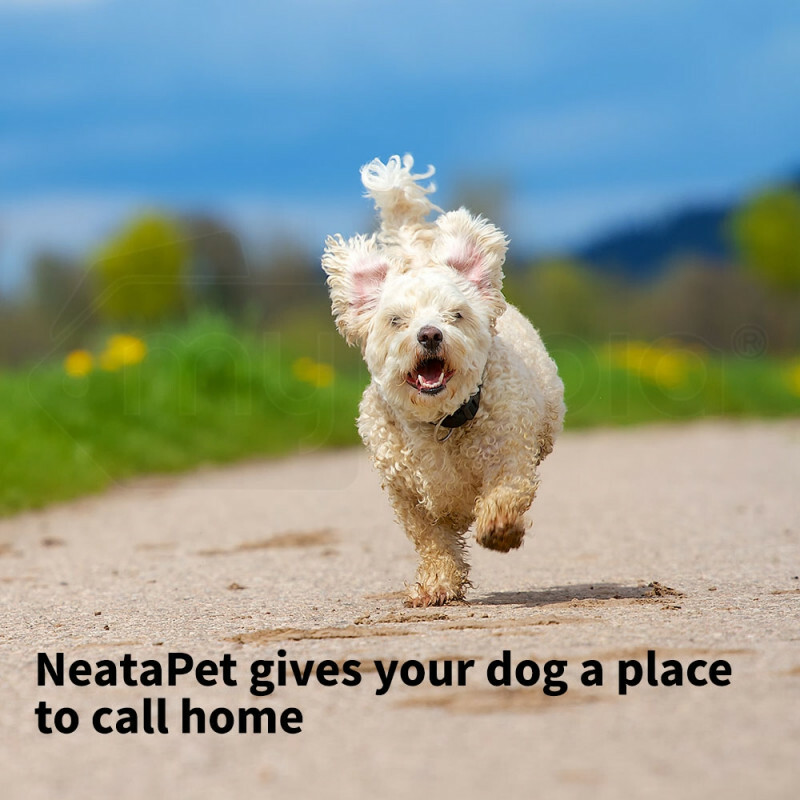 NeataPet understand your dog deserves the ultimate home. 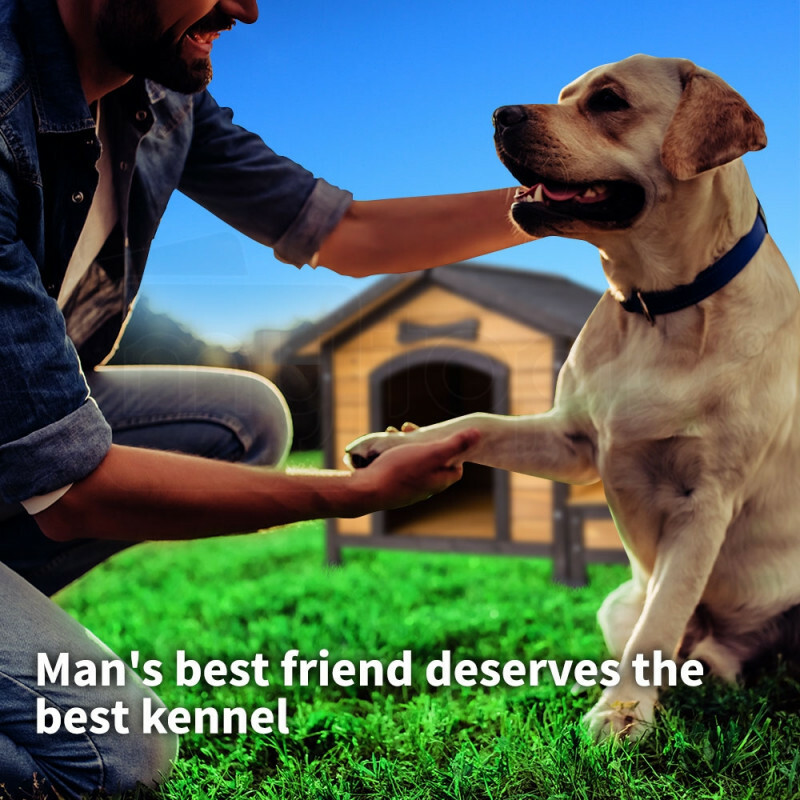 That’s why you should buy your NeataPet Dog Kennel with Stainless Steel Bowls and Storage Box today! 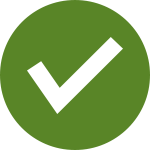 Download the manual for PETHSENTPAKIT for detailed instructions on using your product.